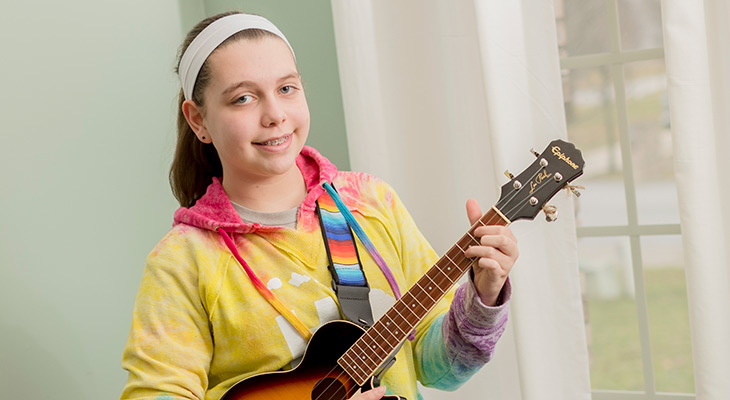 Leukemia and Lymphoma at Norton Children’s Cancer Institute | Norton Children's Louisville, Ky. 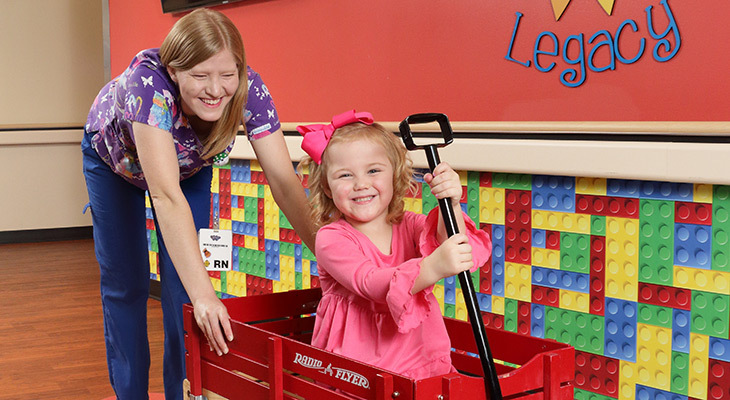 The board-certified and fellowship-trained specialist physicians at Norton Children’s Cancer Institute, affiliated with the University of Louisville, have the skills and equipment to pinpoint leukemia and lymphoma diagnosis and deliver precision treatment. We will provide a treatment plan tailored for your child and work with you at every step of the process so you understand what’s happening. We work closely with families to find the right treatment for each child. Norton Children’s Cancer Institute, affiliated with the University of Louisville, is a long-standing member of the Children’s Oncology Group. The Children’s Oncology Group is the largest group of hospitals around the world that treat children with cancer. Our involvement means your child will have access to innovative new treatments through clinical trials. Access to these groundbreaking treatments can improve childhood cancer outcomes while decreasing long-term effects. Talk with your Norton Children’s Cancer Institute providers about clinical trials that may be available. At Norton Children’s Cancer Institute, we take a comprehensive and holistic approach to provide the best treatment for children and adolescents with leukemia and lymphoma. 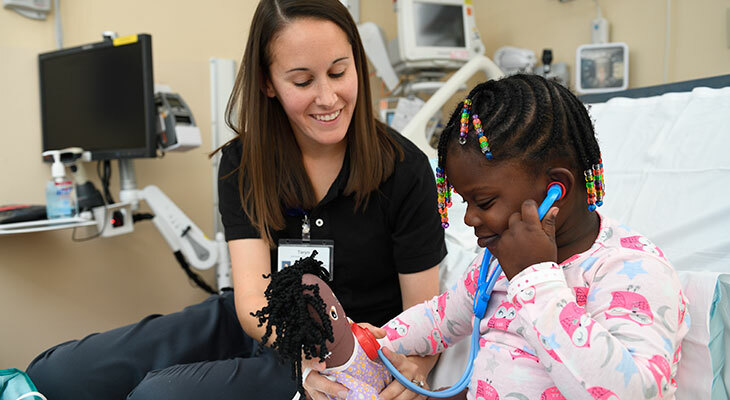 A team of pediatric cancer doctors, nurse practitioners, social workers, school liaison specialists and child life therapists work together to identify and address the medical, psychological and social needs of patients and their families during the treatment of these diseases. Patients are encouraged to enroll in clinical trials to obtain the most current forms of treatment. Although survival rates for children with leukemia have improved dramatically over the past 50 years, leukemia remains a leading cause of pediatric death. 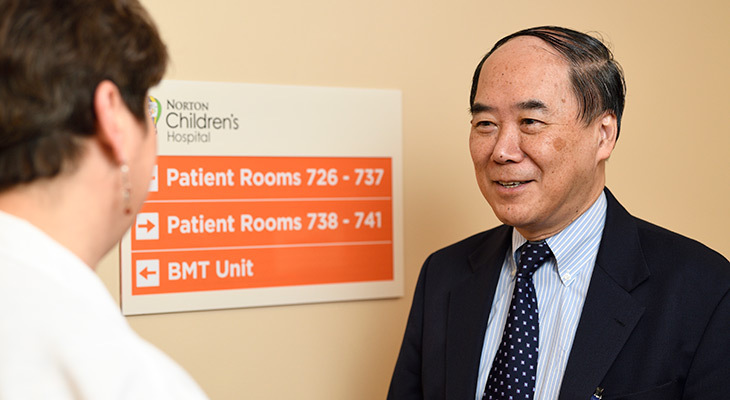 Through cutting-edge research, William T. Tse, M.D., is conducting bench-to-bedside collaborative studies with physician scientists at University of Louisville. Children and adolescents who have leukemia or lymphoma may have symptoms such as pallor, fatigue, fever, bone pain, weakness, gait disturbance, bruising, bleeding and enlargement of lymph nodes. Prompt assessment by pediatricians and timely referral to pediatric cancer specialists are critical. Diagnostic evaluation will include bone marrow examination, spinal tap, and radiological studies. Special histological, immunological and molecular tests will be performed. Once the diagnosis of leukemia is confirmed, a comprehensive treatment plan will be formulated and discussed with the families. We offer a wide range of treatments for leukemia and lymphoma, including chemotherapy, radiation therapy, immunotherapy and stem cell transplantation. Our leukemia and lymphoma specialists are at the leading edge of developing new treatments. As they learn more about how to best apply different therapies to treat these diseases, they will use this knowledge to help your child. New stem cell approaches used at Norton Children’s Cancer Institute will include novel immunotherapy methods that harness the patients’ own immune system to fight leukemia and lymphoma. Our specialists include pediatric oncologists, pediatric surgeons, pediatric oncology nurses and radiation oncologists. Other members of our care team include child psychologists, child psychiatrists, child life therapist, social worker, chaplain, physical and occupational therapists, nutritionist, pharmacists, massage therapist and expressive therapists.